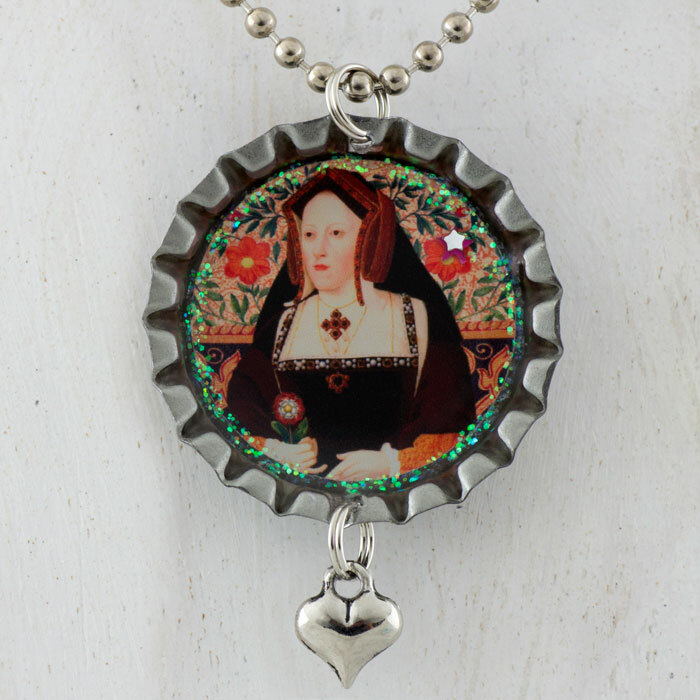 This beautiful, unique and collectible bottle cap Katherine of Aragon necklace features an image of Katherine of Aragon holding The Tudor Rose with pieces of an antique botanical of pomegranate flowers and ornamental papers and bookplates. One of the symbolic meanings of the pomegranate is "fertility and nourishment of the soul". It was also featured on Katherine's badge. 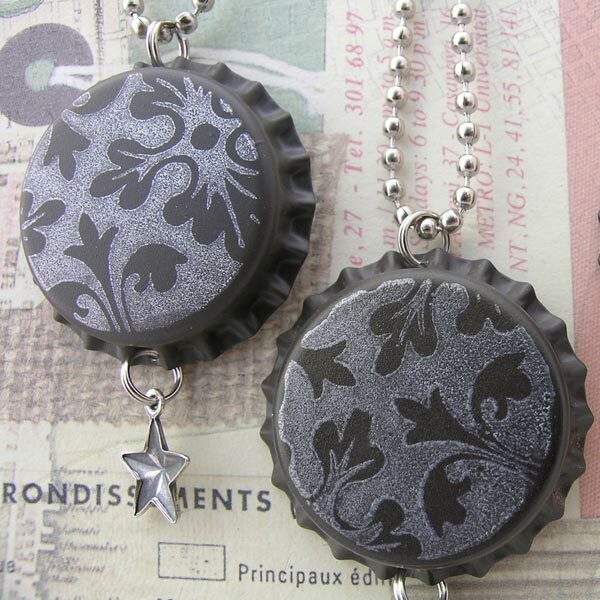 The handmade bottle cap necklace is a fun way to accessorize, with a unique image in each one. The inside of the bottle caps are - one of a kind - decorated with gems and glitter. The miniature photograph is protected by a durable, archival resin that safeguards the image from water damage and fading. The vintage bottle caps of this exquisite and quirky pendant are aged bronze on the back and stamped in silver or copper with a beautiful ornamental pattern. The Pendant comes with a 24 inch nickel plated silver bead chain that you can easily cut to your desired length. Other chains are available.